'Check Yes Or No': The Hurdles Of Job Hunting With A Criminal Past One in five Americans has a criminal record, according to some estimates. And while punishment is usually temporary, those records can last forever. With an already stiff job climate, finding employment can be even tougher for those millions with unlawful pasts. For Americans with criminal records, it can be tough to land job interviews — especially when employers bar them from applying. Melissa spent months looking for a job — any job. For days, the 25-year-old consistently visited her welfare-to-work program in downtown Brooklyn, resume in hand and an interview smile splashed across her face. "Every day, Monday through Friday, 9 to 4," she explains. "That's dedication." Melissa, who asked us to not reveal her last name, has plenty of job experience. She's a self-identified "people person" and says she aces every interview. But there's just one thing holding her back: the past. When she was 15 years old, Melissa hung out with an older man, who she says manipulated her and eventually became her pimp. She was 19 when she pleaded guilty to her third and final conviction for loitering for prostitution. "I had no knowledge. I was young and I was like 'OK, whatever, yes, just let me go home,' " she says. She had no idea that her past, and not necessarily just the tough job climate, would be a roadblock to a salary years after her convictions. Melissa is just one of the millions with criminal records who face higher hurdles than most in finding employment. According to some estimates, 1 in 5 Americans has a criminal record — which can last a lifetime. While it's generally illegal for employers to indiscriminately deny all applicants with criminal records, many still do. A quick look at New York job postings on Craigslist, for example, reveals common caveats: "absolutely no felony convictions" or "must have clean criminal record." "This is blatantly illegal hiring practice," says Sally Friedman, a lawyer at the Legal Action Center. 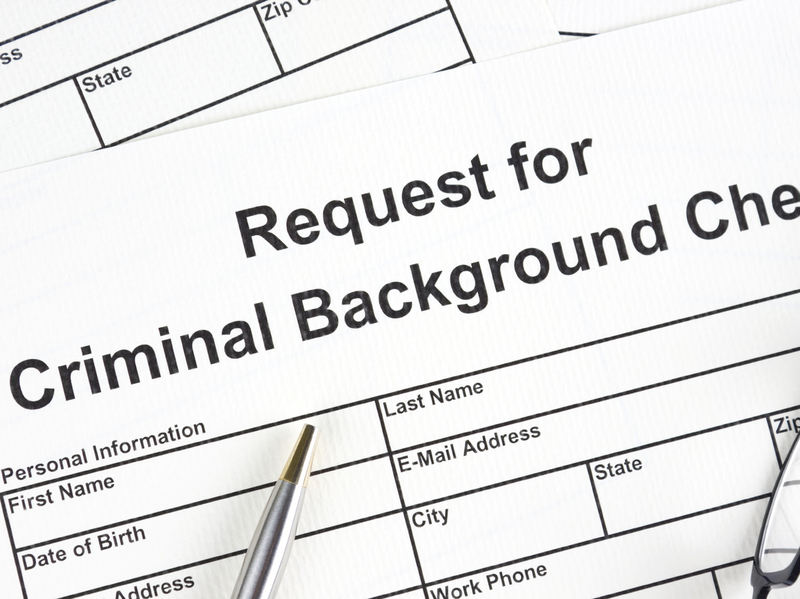 It's not that it's against the law to consider a job applicant's past convictions. In fact, it's kind of the opposite. The no-criminal-records-allowed policy rule, Friedman explains, may lead employers to throw out solid candidates. "They have to look at each person individually; that's New York's law," she says. But even in New York, which leads the country in legal protections for people with criminal records, finding a job with a record of convictions or arrests can be tough. Melissa says she recently landed a job selling tickets at a tourist attraction, only to receive an email the day before orientation that read, "We must withdraw our offer due to the background check." "That had me upset also," she says. "Like, wow, I can't even get a job doing cashiering. What kind of work can I do?" The employer didn't respond to a request for comment, but Melissa says that kind of outright rejection is common. Even more commonly, she never gets a call back when an application asks if she has any convictions and she marks "yes." But is that actually discrimination? Princeton professor Devah Pager researched that question in the New York City Hiring Discrimination Study. "We hired groups of young men to pose as job applicants, and we sent them all over New York City applying for real low-wage, entry-level job openings," she explains. Researchers recruited young men who were similar in job experience, education, skills, and even physical attractiveness. They sent them to 250 employers with fictitious resumes that were identical with the exception that some had a minor drug possession conviction. Results revealed that the job applicant with a conviction was nearly 50 percent less likely to be called back or receive a job offer. "It's clear that simply having a criminal record irrespective of any other personal characteristics about the candidates had a huge negative impact on their likelihood of finding work, even in these kinds of low-wage, low-skill kinds of positions," Pager explains. Melissa's strategy for dealing with that bias is to try avoiding the issue entirely. "So, I basically had it in my mind 'OK, if I get a job, I need a place that's not gonna run a background check because if they do I'm not getting hired,' " she says with a reserved chuckle. "So that was my new game plan." It's a plan that has real costs. According to a survey from the Society for Human Resources Management, 2 out of 3 employers require a background check for every single hire. But for Melissa, at least, it seems to have paid off. She recently landed a job at a grocery chain that didn't require a background check. "Getting the feel of, you know, receiving a paycheck, that's the best thing, really," she says. It's a paycheck that comes out to about $175 a week — a salary for her, her 19-year-old brother and a 2-year-old daughter.